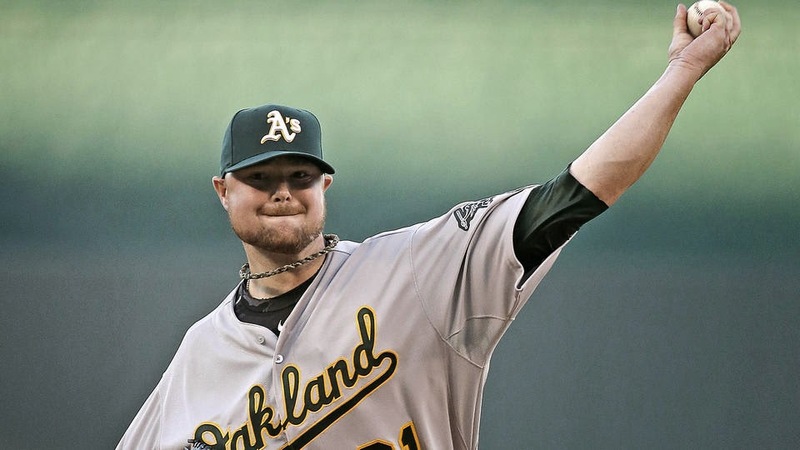 The rumors surrounding a Jon Lester return to Boston won't die, fueled at times by Jon Lester himself. First, you had Lester favorite a tweet from Bill Simmons, now it's Lester saying where he plays in 2015 and beyond won't be determined by money. "My time there, the memories and all that stuff, don’t get erased based on this whole ordeal,” Lester told Jon Tomase of the Boston Herald. “I’m glad with where I’m at, and I understood where Ben [Cherington] was at. At the end of the season, it’s not going to change my mind about going back there if they are aggressive and competitive and do the things they say they’re going to do. Boston is definitely a place I would go." We'll just have to wait and see, but the signs (at least for a desperate fan base going through a rough season) are positive right now that Lester just may be back in a Red Sox uniform on Opening Day. Until then, let's all hope and pray that these aren't just empty rumors.